Aimil Ltd., a pioneer Instrumentation Company since 1932, offers a wide range of state-of-the-art products in the field of Civil Engineering, Analytical & Industrial, and Electronic applications. We are pleased to present our new overseas partner MPI Thermal, Taiwan to serve our customers with innovative technologies in Localised Temperature Test Systems. MPI Thermal is a division of MPI Corporation. MPI Corporation was founded in July 1995. 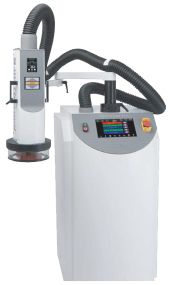 MPI Thermal Temperature Systems have advanced technology in precise localized hot and cold temperature test equipment. The thermal division has 60 years of combined thermal control system experience. This has brought about a thermal air stream system for today's manufacturers environmental test chamber needs.